Craft beer means a lot of different things to a lot of different people; that’s part of why it’s become so popular. But one thing rings true across all the varied interactions that people have with craft beer – the sheer number of styles , and variations of styles – on offer. The days of having to choose between five brands of similarly flavoured light beer are over. Now there’s seemingly a beer for every imaginable occasion. And consumers aren’t the only ones benefitting from the plethora of pours available. Brewers are thrilled to be able to allow their creativity to flourish. A number of hop varieties, with the rise of locally grown hops across Canada, do a lot in adding to the large amount of choice that makes the craft beer movement so amazing. Tour any brewery and you’ll find a variety of hops and yeast from multiple sources on hand. Get to the malt portion of the brewery, however, and the familiar logos of Weyermann or Canada Malting are everywhere. The two giant malting companies aren’t bad malt producers, but the standard inclusion of the two malt giants puts forth a frustrating limitation on a beer industry that thrives on variety, locally produced goods, and small, independent businesses. Enter Barn Owl Malt. Barn Owl is a relatively new malting house on the outskirts of Belleville, Ontario. Operated by husband and wife team Devin and Leslie Huffman, Barn Owl focuses on creating a variety of small-batch malts that make use of local Ontario barley and the historic method of floor malting to bring forth a malt that separates itself from the commonly used brands in the best of ways. While they just opened last year, getting there took some time. Tree planters in their previous lives, the Huffmans spent more than ten years working throughout Northern Canada. Tree planting led to several contracts in the forestry and mining businesses, but eventually, they turned their gaze toward Devin’s grandparent’s property, unused for many years, and saw in it a chance to settle down from an ever-changing life and build businesses that put their shared talents to good use. Once the Huffmans were settled in, the decision then became what specific business to actually open. The land itself hadn’t been used in 30 or 40 years, so it wasn’t a functional farm and the pair had to start from scratch. After kicking around a number of ideas for a niche, rural-based business, including something in the food industry, the idea of a craft brewery was one of the strongest contenders. But when they began to source brewing ingredients, they had a startling revelation. “Just a lack of Ontario-based grain,” Leslie and Devin say, almost in unison. There are several reasons why Ontario barley doesn’t crop up much in brewing circles. The primary one is that most of the grain farming industry has moved west, where large-scale barley production is more suited to the spacious fields. What’s more, most of the large-scale production facilities have settled there, making proximity to western farmers a natural fit. Here in the east, barley is still produced, but in smaller batches, often used for food production, with several crops suitable for malt production being sent to Canada Malting, which has a very low selection rate. Really, there is still rather a lot of barley being produced in Ontario; it’s just not being put to much use. Noting this huge lack of Ontario-based malt on the market, the Huffmans found their niche and decided that a malt house was the way to go. So what next? “Learning,” Leslie replies. “Yeah, probably learning how to malt!” laughs Devin. And after an extensive amount of time researching and testing on their super-small batch setup (with plenty of trial and error), the Huffmans had not only figured out the process of malting, but which method to go with. Having decided on a technique, and armed with equipment (built by Devin himself), there was only one obstacle the Huffmans had to overcome: the ever-frustrating red tape of zoning licenses. In time, things were figured out, paperwork was filed, and the Huffmans were given approval to turn their vision into a reality. 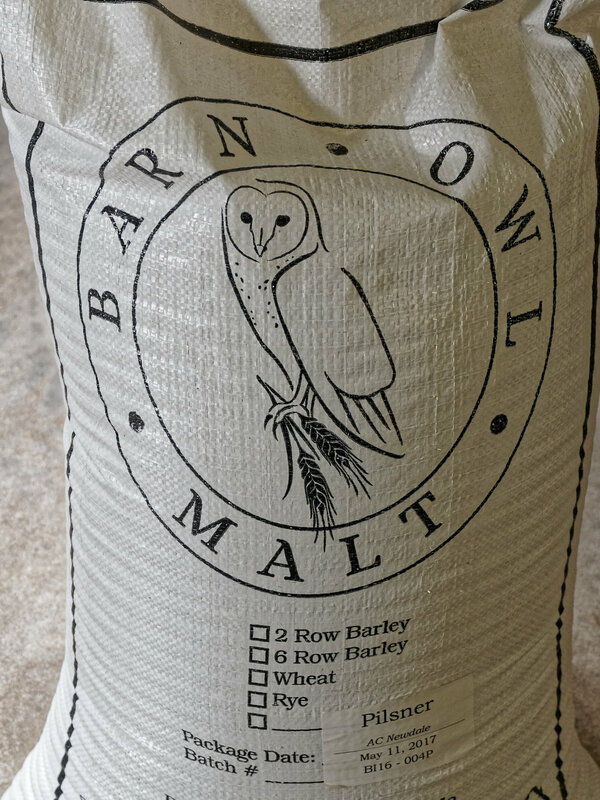 They set to work building their facility, cultivating relationships with barley farmers in the area, and on the 25th of April 2016, Barn Owl sold their very first bag of malt. The sense of relief when everything had come together, when everything had worked out, was palpable. Particularly when they operated their kiln for the first time and found that it not only worked, but that it exceeded their expectations. The reception that Barn Owl has received over their first year has been overwhelmingly positive. Although there has been some hesitancy from brewers worried about small batches and barley coming from a number of different farm sources, all have been happily surprised to find that the Huffmans have been yielding a strong, consistent quality in their malts. 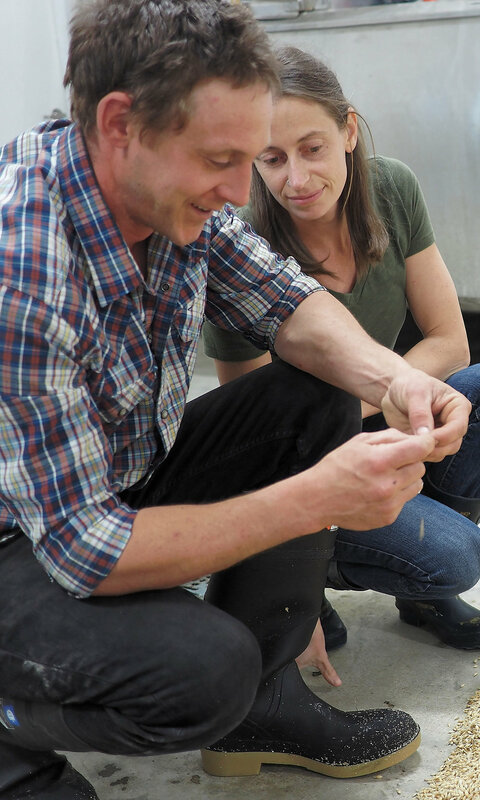 “We don’t just take any old barley and run it through the same process,” Devin explains. “We have a pretty vigorous quality check for acceptance and then assign the barley we take in to the style of malt that it’s best suited to.” And the results of such a process shows, with many Ontario breweries including award-winners 5 Paddles Brewing, the Napanee Beer Company, Sawdust City, and MacKinnon Brothers Brewing happy to include Barn Owl Malt in their cache of ingredients. Barn Owl has also found incredible support in the homebrewing community, where ever-adventurous homebrewers, several of whom make batches once or twice a week, have been anxious to see what the malt has to offer. The community has become Barn Owl’s most ardent supporters, happily providing feedback and keeping the Huffmans appraised on their brews. “I often find out about the quality of our malt from the homebrewers before we get the results from our lab tests,” Devin says. At the moment Barn Owl is producing Pilsner, Lager, Munich, and two kinds of Pale Ale malts available at their own facility as well as homebrew shops throughout the province. Their plan for the future is to expand their capacity and offer more of a selection of malts including wheat and rye. At the time of writing, experiments into creating crystal malts are underway – with promising results. Leslie’s and Devin’s story is one that lends itself well to craft beer mythology. Finding a gap in the market and working hard to produce something that is fiercely and unapologetically local is the crux of why many people enter the beer industry. In just the short time that Barn Owl Malt has been in business, they have reminded us of the old Foodland slogan: Good things grow in Ontario. Enter Barn Owl Malt. Barn Owl is a relatively new malting house on the outskirts of Belleville, Ontario. Operated by husband and wife team Devin and Leslie Huffman, Barn Owl focuses on creating a variety of small-batch malts that make use of local Ontario barley and the historic method of floor malting to bring forth a malt that separates itself from the commonly used brands in the best of ways.